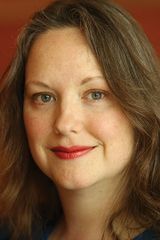 LOOK FOR HER (WilliamMorrow) by Emily Winslow is the fourth and my first introduction to the Keene and Frohmann series. It takes place in Lilling, England, which might seem like an idyllic English village, but it’s home to a dark history. In 1976, a teenage girl named Annalise Wood disappeared, and though her body was later discovered, the culprit was never found. Decades later, Annalise maintains a perverse kind of celebrity, and is still the focus of grief, speculation, and for one young woman, a disturbing, escalating jealousy. LOOK FOR HER was a twisting, fast-paced exciting novel with enough complex relationships you may want to keep by your side notes (I did). There are so many well-written psychological thrillers being published today, so that if I have to work too hard to keep up, I’m somewhat disappointed. That was my experience with LOOK FOR HER. Find out more about Emily at her website, and connect with her on Facebook. 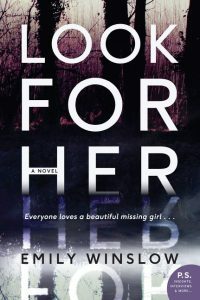 Thanks to TLC Book Tours for providing one copy of LOOK FOR HER for one lucky reader. Just tell us what the latest crime thriller you’ve read. We’ll pick a winner soon. Good luck! I’ve read The Da Vinci Code by Dan Brown, thank you. The Girl that was Taken. The latest crime thriller I read was The Family Next Door by Sally Hepworth. I have been eyeing this book for a while. I want to read this one sounds good. Lisa Scottoline’s After Anna was good. I just read an ARC. I think the last crime thriller I read was Then She was Gone by Lisa Jewell. That would be The Chalk Man by CJ Tudor. Very good book! I just finished reading “The Sisters of the Glass Ferry by Kim Michele Richardson. Thank you for the chance. loved the book The Girl That Got Taken! I am Watching YOU by Teresa Driscoll.